This may have been my favorite first look moment of the year. Both Lindsey and Frank were so overcome with emotion during their first look. It was an amazing moment to be a witness to. This first look took place at the Barn on Bridge in Collegeville, Pennsylvania. Lindsey and Frank's reaction to seeing each other for the first time is exactly what I hope for in a couple. 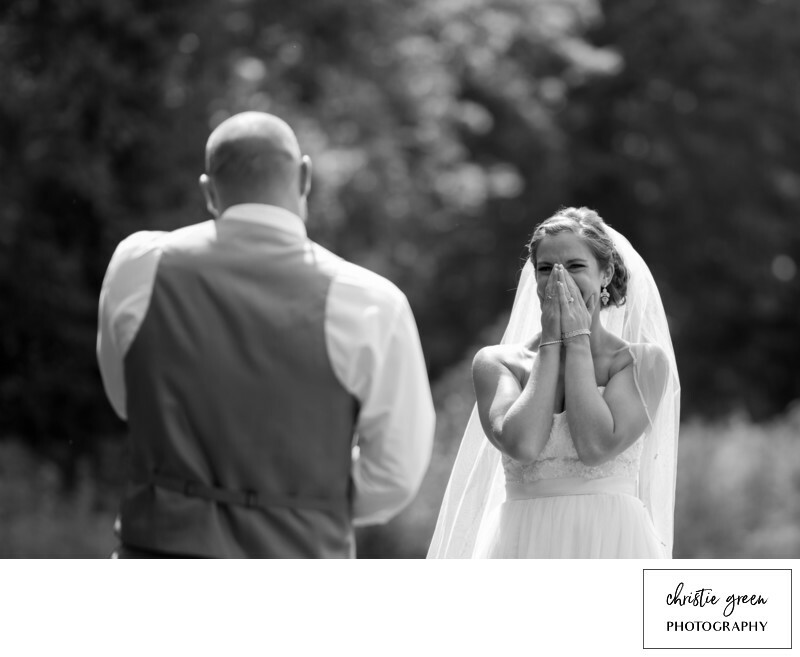 I am looking for great moments of great emotion throughout the wedding day. This couple gave me that and so much more. I will never steer a couple towards a first look or the more traditional route. I feel that this is truly a personal decision that they will need to make. Wether you decide to see each other before the ceremony and have a moment alone, or to see each other walking up the aisle, it is your moment and it will be beautiful.